excitement. 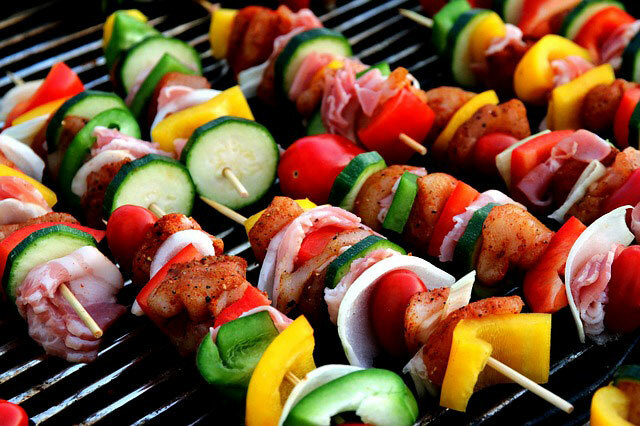 Vacation is just around the corner, and summer barbecues are so close that you can almost taste them! This month, we celebrate a number of spectacular eating holidays, from Cinco de Mayo, to Mother’s Day, and Memorial Day. There is always an excuse for dinner, brunch, or a backyard BBQ. We have been planning ahead for this month, and have set aside a few recipes that you just might find useful. We are excited to share our fabulous new rice cooker with you this month, and introduce you to a few of our amazing recipes. We would also love to know what you have been cooking in your kitchen. If you have any kitchen miracles you would like to share, please send them our way. On May 5th we celebrate Kodomo no Hi, known as Children’s Day, in Japan. It is a day when older family members and friends recognize and honor their little ones, and wish for their well-being and happiness. This is a visually festive holiday. 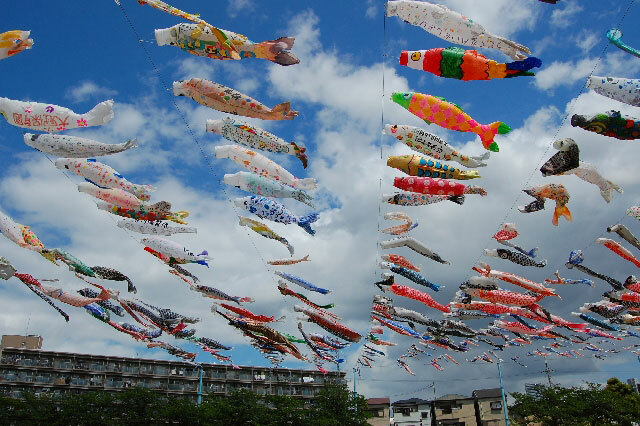 Japanese households and schools (mostly elementary schools) display carp streamers, also known as Koinobori, during this time of the year wishing for good luck and promising fortune for the children. In Japanese culture, the carp has long been associated with strength and determination. It serves as a metaphor for children to strive hard to reach their goals and to overcome obstacles encountered in their personal pursuits. 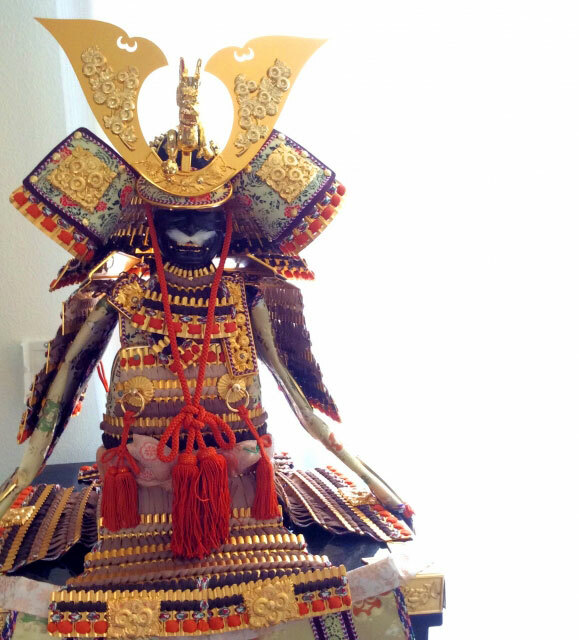 Inside homes, people display samurai helmets and armor as a symbol of strength and prosperity. 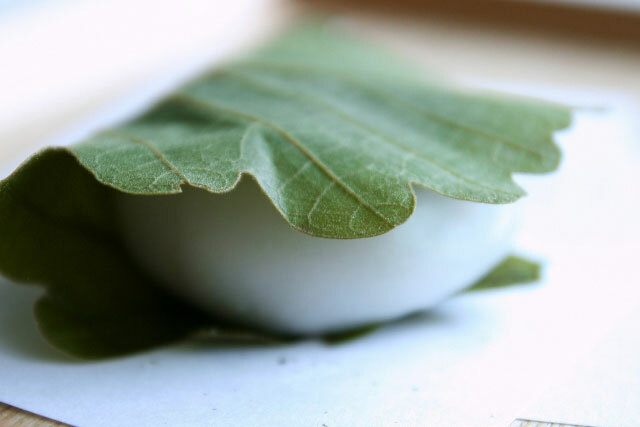 During this season, it is also customary to make Kashiwamochi, a special rice cake dessert wrapped with an oak leaf. It is filled with some sweet Adzuki bean paste, and the fresh scent from the oak leaves transfers to the rice cake, adding a subtle, yet pleasant herbal taste to the dessert. Children all over the country look forward to receiving this special treat on Kodomo no Hi. In the United States we celebrate holidays like Mother’s Day, Father’s Day and Grandparents Day to pay respect and love to our elders, but there isn’t a special day to celebrate and embrace the young generation. What do you think about implementing something that resembles Children’s Day in the western world? Wouldn’t it be a nice way to connect the young with the old? 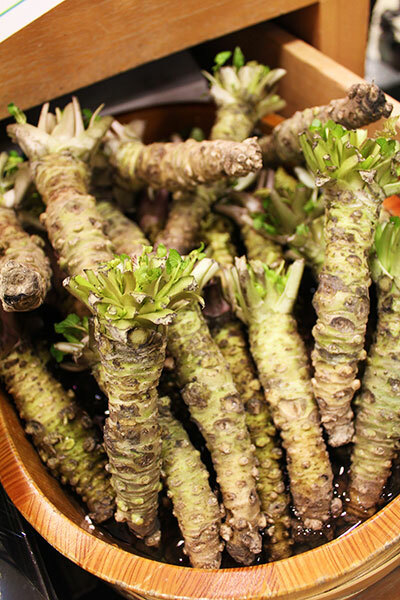 As ma ny of you know, wasabi is one of the most recognized of all the Japanese condiments, and is in the same horticulture family as horseradish. The history of wasabi has noble beginnings dating back over a century ago, when people first started utilizing it as a medicinal ingredient to kill harmful bacteria. It was about 400 years ago when people began to enjoy wasabi as a condiment, and around the same time that the cultivation of the plant also began. Today, the number of Japanese wasabi farmers has decreased to only a handful, as growing it is a very time consuming and labor intensive process. As a result, it has become very difficult to purchase genuine wasabi, and the majority of it we find in the general markets and restaurants is just a mixture of Western horseradish and green food coloring. Don’t be disappointed though, because there are a few wasabi farmers in the U.S. They are mostly in the state of Oregon, where they have the cool climate and the clean water necessary for growing it. So if you really want to try some real wasabi, you can visit those farms in Oregon! up to 15 minutes only, and it must be graded immediately before serving. 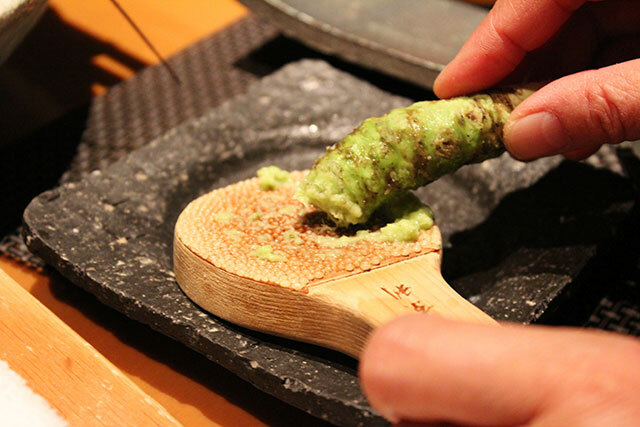 Compared to the imitation one, the real wasabi is a bit less spicy, but its fresh aroma is just beyond description! Try it, and let us know if you can tell the difference! If you don’t have an experience cooking in a Japanese kitchen, you have probably never seen otoshibuta before. Literally meaning, drop lid, these round cooking lids are slightly smaller than the diameter of the pot, and sit directly on top of the cooking ingredients. Otoshibuta helps the cooking liquid move towards the lid, and coats the top of the food creating a more concentrated flavor. It also reduces the likelihood of the cooking liquid boiling over on the stove, and allows food to cook quickly and evenly. 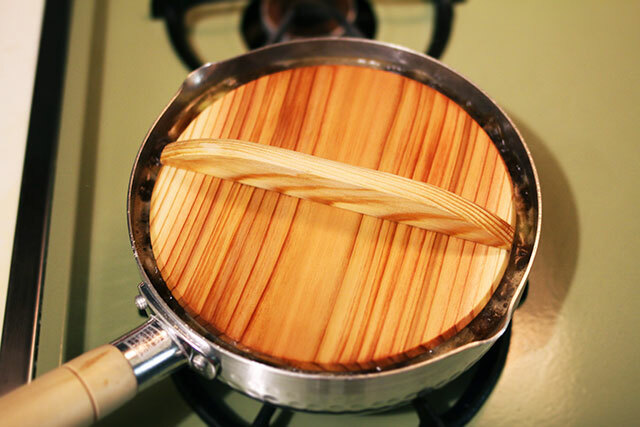 Otoshibuta are typically wooden and soaked in water just before use. This will prevent the tool from soaking up the cooking liquid, or worse, cracking. You can also find plastic, silicon or metal varieties, but a bit of tin foil or even paper towel will serve as a makeshift otoshibuta in a pinch. In fact, tin foil ones serve better than the wooden ones when you are cooking delicate ingredients because the lid will not crush the ingredients while simmering. This tool is great for simmering hardy root vegetables like potatoes, carrots, and pumpkins, as well as fish. Perhaps you can find an online tutorial or a recipe, then experiment for yourself. Just when you thought you knew it all, right? There’s always more to learn! 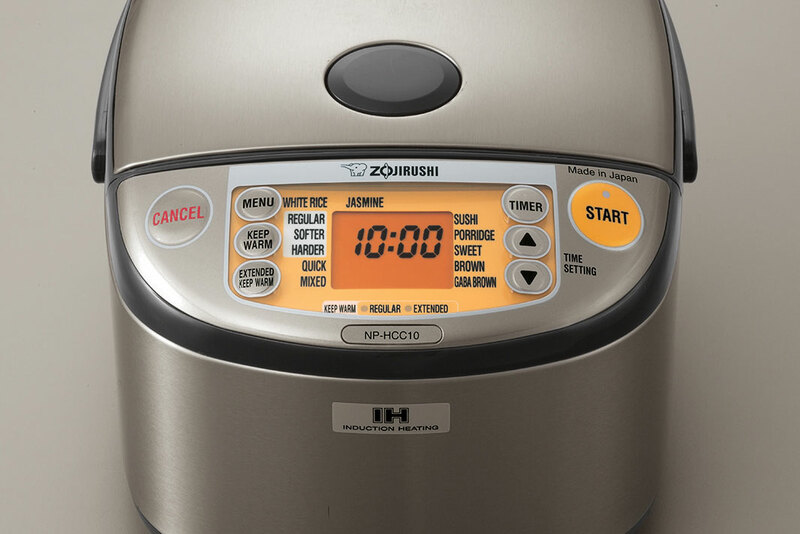 We are over the moon to be sharing our newest rice cooker with you! The NP-HCC is one of the most advanced and innovative so far! We have continued to perfect and enhance our cutting-edge induction heating technology to bring you perfectly cooked rice every single time. The best feature of this product just might be the easy to read orange back lit LCD control panel. We have changed it from the green to be easier on the eyes. It’s always fun to switch up the colors! We’ve kept your busy schedule in mind with a delay timer & automatic keep warm. 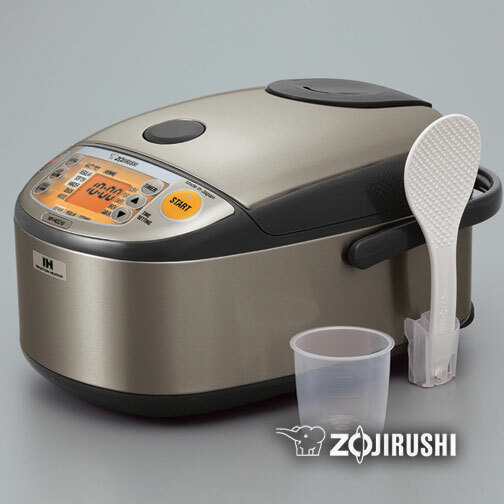 The rice will be made around your schedule and can be kept warm for up to 12 hours. Yes, that’s about 3 meals folks! With a sleek stainless steel interior and a thick non-stick inner pan, this product is easy to clean both inside and out. We thought a detachable inner lid would help with those tough to reach corners. From delay cooking to keeping warm, cooking to cleaning up, the NP-HCC has got it all going on. We sincerely hope you enjoy it as much as we do!